Engage in the activities necessary to implement your public health intervention(s) based on your logic model. Activate your community, and continue to empower community members and all coalition members to engage in continuous communication. Enact your data collection and evaluation plans. Sustain your work by disseminating evaluation results and identifying sources of future financial support. But the work is never done! 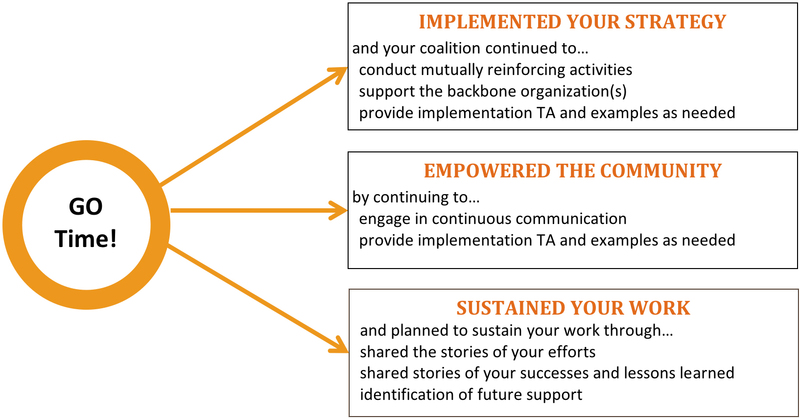 As a coalition, you will continually review the findings, successes, and challenges of implementing your intervention(s) in the target community(ies). Your intervention’s logic model, activities, evaluation plan, and implementation should be reviewed at your regularly scheduled coalition meetings, and all plans should be updated as new data becomes available to suggest that updates are needed. 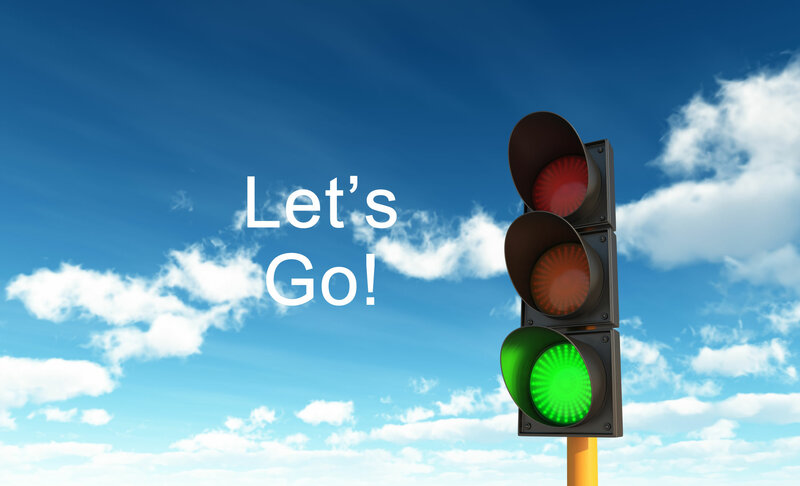 The READY, SET, GO stages, and the steps within each, do not necessarily need to be completed in order. The steps in each stage are not exclusive to one particular stage and can be revisited throughout the intervention. Improvements can always be made, and your work is never done!